It’s always about a month after New Year’s…with weeks of preparation and buying certain items..it’s a chaotic time of year, in my household and at the grocery stores. 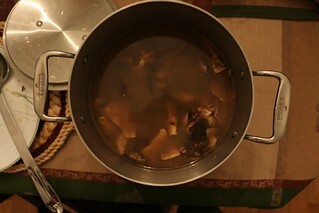 Obviously it takes more than a couple of hours to make a 7 dish meal that does consist of a hearty based soup. 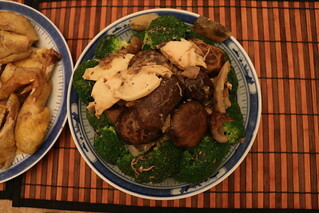 The first dish is a combination of chinese mushrooms on a broccoli with sliced abalone. My mom usual gives this dish a light salty flavour using oyster sauce because the abalone is already salty, she just gives it a little more taste to it. 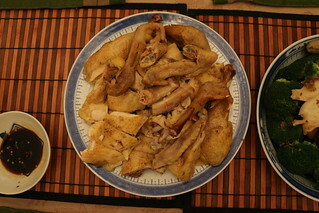 Second comes the steamed whole chicken, including the head. It is traditional that we have a whole chicken at our dinner table on New Years Eve, as it represents everyone (in the family) being together (that’s what I think). Third is shrimp and they have to have their heads on when cooking. 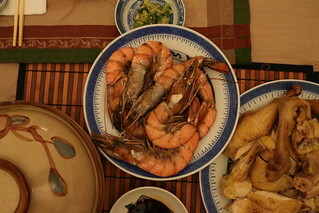 The reason is quite similar to the dish above, but I think having shrimp on the dinner table is more of a family tradition rather than a tradition that came from my grandparents’ village. 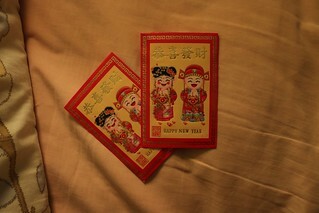 The two dishes above are a classic chinese village dish that would be served during new years. The first being a sweet and sour radish pot with peanuts and pigs’ hock or something similar to that. 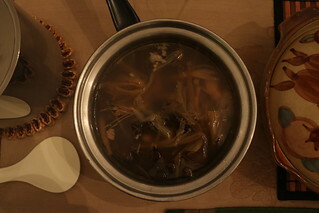 the second is a alcohol based ‘soup’ with ‘mok yee‘ (black fungus) and peanuts. 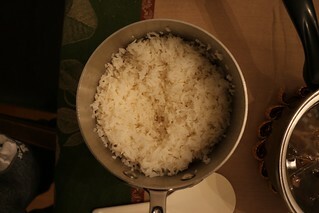 Well obviously there would be rice..but what’s special about rice? 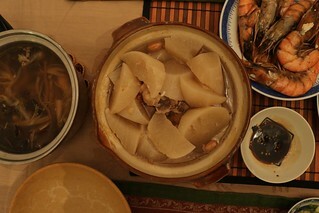 After dinner is done, it is traditional to have a small plate placed in the rice pot filled with the chicken’s head and left over chicken. Again, I think it represents the wholeness because we should have this meal on new years eve..and having a head going into the new year would represent that there aren’t any parts missing from you. 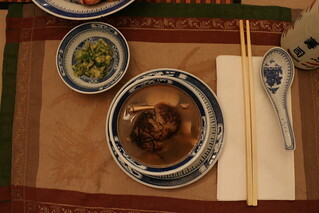 Served on a bed of lettuce, this is steamed pig’s tongue with some kind of salty sauce. Again, I think this dish comes from my family’s village back in Asia. I think my mom only makes this soup once a year. The soup base takes forever to make as it’s made with pork and turkey. 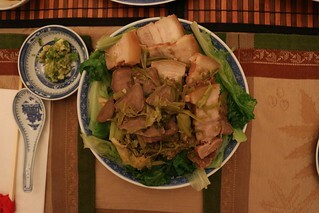 Then fat choy, pig’s stomache and ‘tofu skin‘ are added to finish it off. One pot can last my family for days, because of the vast amounts of food we are luckily enough to have. 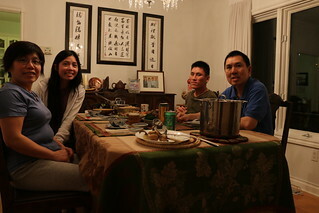 It’s a family classic to take a picture with our food on Chinese New Years. Excuse my brothers ‘: I’ face.